Indian Actor. He was quoted in a DNAIndia article saying: "I'm not as tall as I claim, you know, I am actually six feet and two inches (and a half), but I love saying I'm six feet, three inches"
Varun looks taller.....generally he can look a big man over 6ft 3 at times. Those who say prabhas is 6 ft or 6ft1 are clearly blind. He is 6'2 barefoot and have seen many of his films and he has edged out 186-187 cm guys like sathyaraj. He is 6'2.25. For rana he convince me for 6 ft 3. Prabhas posture is bad which can be highly debatable that's why he looks 6 '1 sometimes. Rob Please you need to check prabhas height. Sonu Sood claims 6'2" but he is actually little above 6'2" may be 6'2.25". Sonu's sneakers had atleast 0.75" inch more lift than Rana when he was standing next to him, also Rana's posture was not that straight as that of Sonu. Tbh I don't see any similarities between the two except that they are both similar in height, and they are both actors. Rana is close to 6'3". Prabhas is 1.85m or 1.86m (doesn't stand erect). It's time prabhas is added to this site. He is one of the biggest Indian actors at the moment . Please add him . @Shiva 181 cms Prabhas could be 6'1 or even 185 cm. 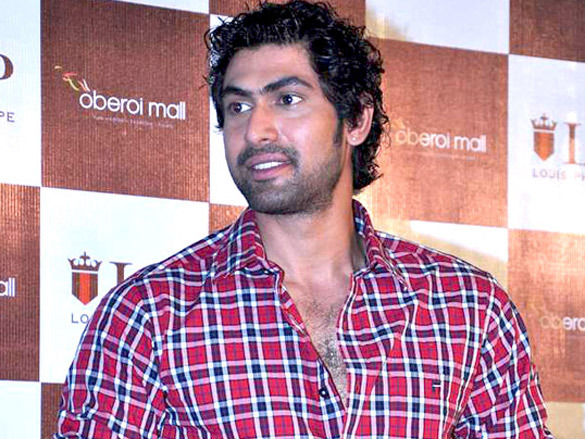 @ Rob would you also add his co-star in baahubali "prabhasr raju"
Yeah, not to familiar with this guy, but of what pictures I have seen of him and his quote, he seems to be an honest 6'2.5 guy. That is already considered tall in Western countries forget about India. Even though he is not as well known, the majority of bollywood actors fall in the 5'7-6'0 category. Very few tall guys in the industry other than the Bachchan's, Arjun Rampal, and Kunal Kapoor. (all 6'1-6'2 range). At his lowest, Daggubati is probably 6'2. Rob, would you mind checking how tall Prabhas really could be? he's listed as 188 to 189 at sometimes. Rob, possible 190 for him? Editor Rob: at times you may well argue it is. Abhi's height tricks a lotta times, but one thing for sure, He's no more than a 6'2 flat.Look at his Hair, it gives him an advantage of looking 6'3 to a lot. But he's just 3.5 inches taller than hrithik who's 5'10 and sunil shetty also 5'10 as well.So rob I think you should add him as well on this site at 6'1.75 or 6'1.5. Rob do you think that this Daggubati guy can look more 6'3" range in photos though? He looks a rather big 189 if you know what I mean, like Routh and Welling who can all look easily an inch taller. More i see of Abhi more I'm thinking he is just shy of 6'2", he doesn't look much more than an inch taller than his dad here. But he can often look 189 range himself, maybe 6'1.75" listing would be OK.Surprises me as in photos he can look very similar proportions to guys like Ben Affleck and Eric Bana. Can you list him sometime, he's one I've been curious about for a while! Rob, do you think Abhishek might be as low as 6'1.5" then? Because he has always looked a genuine 6'2" er to me. @Will Smith, this is what a legit 189 guy looks like!! Interesting. As this completely blows 189cm for Abhiskek! Well at least he's honest but in fairness this guy could easily get away with 6'3". Rob does this mean Abhishek is more likely 6'1.5"? Or was it posture in those pictures? Looks taller. But 189cm is correct.